Blackjack originated in the 1700s, making it one of the oldest and most loved casino card games in the world, however just because it’s old doesn’t mean it’s out-dated. Blackjack is an incredibly sophisticated game and many variations have been created over the years, keeping it fresh and exciting for players and proving its place in modern gaming. The introduction of online blackjack has created a platform which is more flexible and allowed new implementations to this old classic. 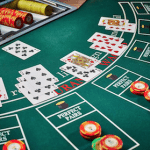 Playing blackjack on the internet gives punters access to a much wider variety of blackjack games than you would expect to find in a land based casino. Stepping into the virtual casino world also provides much more flexible betting limits and players can take advantage of the welcome bonuses offered by certain venues. Note: The information on this page is intended for our international readers only. Following the introduction of the Interactive Gambling Amendment Bill in September 2017, online casinos are banned from accepting Australian players. For Aussies, the content on this page is informational in nature only. European Blackjack: this is the most common Blackjack variation you will find in European casinos, consisting of two decks of cards with no hole card. 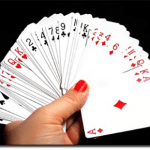 The dealer must stand on Soft 17, with any Blackjack made by the dealer taking precedence over any other players and the dealer may not draw a second card until players have played their hand. Other rules unique to European Blackjack include that double down can only be done on a nine, 10, or 11, with a split allowed once only. Dissimilar 10-value cards can’t be split, with no double down allowed after the split hit, but hit on split aces is allowed. 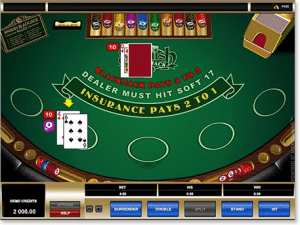 Atlantic City Blackjack: unsurprisingly, this version of the game originated in Atlantic City and remains the more popular Blackjack variant played on the East Coast of the USA. 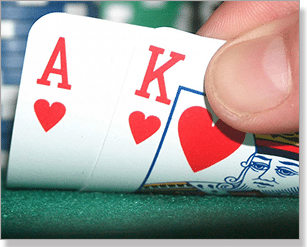 Closely following the instructions of the classic game, Atlantic City Blackjack offers some different rules that work out in players favours, hence why it remains so popular. This variation is played with eight decks of cards with a dealer’s hole card allowing them to check for Blackjack on a 10 or Ace upward facing card. The dealer stands on soft 17, with a double down allowed on any two cards. A hand can be split up to three times, allowing a total of four hands. Dissimilar 10-value cards can be split, with double down permitted after split. Players are allowed a late surrender. Pontoon: : played with great pride, this Blackjack variant is a classic which is typically only found in Commonwealth casinos. Pontoon starts with all the 10 cards being removed from a standard deck of cards (otherwise known as a Spanish Deck) and is then played using six or eight decks. The dealer has no hole card and must stand on Soft 17, with their second card remaining concealed until the end of the round. The player’s pontoon (which is the name of the blackjack in this variation) always beats the dealer to take an immediate win. Pontoon also adapts its own terminology as explained here. which can take some getting used to for Blackjack players that are set in their ways but is a good way to spice things up a bit. Web based casinos like G’Day Casino offer a fun range of additional Pontoon variations. Vegas Strip Blackjack: this is the most popular game of Blackjack that you will find played in the gambling capital of the world. Vegas Strip generally follows the rules of Atlantic City Blackjack, except that it uses four decks instead of eight and players cannot enter a late surrender. The dealer has a hole card, and must stand on Soft 17. Double down is allowed on any two cards and a hand can be split up to three times, allowing a total of four hands. Dissimilar 10-value cards can be split, with double down permitted after split. Vegas Downtown Blackjack: a favourite that emerged from the less glitzy part of Sin City, Vegas Downtown Blackjack is played using two decks of cards with a dealer’s hole card. The dealer hits on Soft 17. Players are allowed to make up to three splits per hand, with only one allowed for a pair of aces and split aces only receive one card. Double down is allowed after a split, but players are not permitted to surrender. Spanish 21 Blackjack: or simply Spanish Blackjack as it’s often called is quite similar to classic Blackjack except that it uses the Spanish deck of cards (which is just a standard deck of cards minus all the 10’s) so only 48 cards are in play. The other main difference is that the players hand always beats the dealer. Other rules include that a hole card is played, the dealer must stand on Soft 17, any number of cards can be doubled down and a surrender is allowed at any time during the game. Big Five Blackjack: played using five decks of cards, with no hole card and dealer hits on Soft 17, Big Five allows players to split on any two cards of the same value, with up to three splits (only one split for aces). Double down is permitted on any two cards once per hand, with dissimilar 10- value cards allowed to be split. Surrenders are not allowed. All Slots Casino offers this interesting variation along with possibly the most impressive list of Blackjack variations available on the Internet. 21 Burn Blackjack: found only in the virtual casinos that offer Betsoft Gaming games (like Emu Casino) this is a thrilling game for those players who consider themselves risk takers. Played using six decks of cards with no hole card, the dealer hits on Soft 17. Players can play up to three hands simultaneously, with the optional addition of a Burn card. 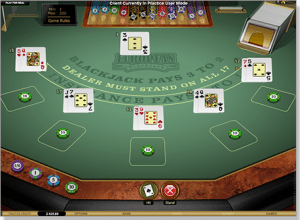 The Burn card is dealt face-down in addition to the standard two card hand, and the player has the option to “burn” their second dealt card in favour of the unseen Burn card, with play then continuing as per standard Vegas Strip Blackjack rules. The burn really adds a nice, risky little thrill to the game. Super Fun 21: as ridiculous as the name may seem, it pretty much sums up this Blackjack variation perfectly. Super Fun 21 takes a more relaxed approach to the game, with rules not so strictly enforced, making it the ideal game for more recreational play or as an introduction to Blackjack for new players. Think of it kind of like the simplified version of Blackjack. Played with one, two or four full decks of cards and a hole card, the dealer must sit on Soft 17. Players can double, hit, stand or surrender on any two cards and hands with a total of 20 or less with six or more cards win even-cash automatically. A players blackjack will always beat the dealer, while a blackjack consisting of diamonds pays out 2 to 1. Get a load of the incredible Blackjack game variations that can found at some of our favourite secure websites, with the variations mentioned above just the tip of the iceberg. Online casinos offering the best variations with safe and trusted payment methods include G’Day Casino, Emu Casino, All Slots, and Thrills. These sites offer real money payments in a range of currencies, with a range of secure payment methods available.